The thing about the monsoons in Mumbai is that it will make you beg to come and it will make you beg to leave. I can see many of my friends and colleagues already begging like a lunatic for the rains to go away. But they don't realize that with the rains going away, the lush green, misty, almost ethereal greenery of the western Ghats would also vanish too, leading to that dull dusty foliage we all want to make a blind spot of. But behold the beauty of Autumn! October and November are the evergreen months to visit any place they say. How about trekking up to a couple of forts this Autumn? In continuation of my last 'bro finding things before they happen' travel post, here I am with yet another possibility - A trek to Harihar fort and Brahmagiri - Bhandardurga fort on October 8th and 9th. Let's first get the basics right first. Harihar Fort - At 3676 ft. of height above MSL, Harihar fort is a unique fort built on a triangular prism of rock in Igatpuri. 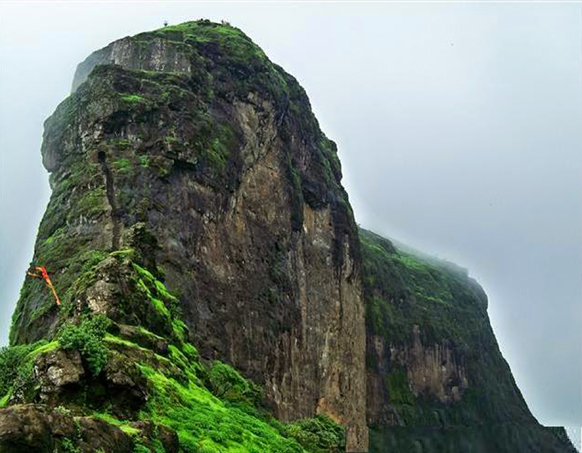 With 117 stepped staircase, mystical plateaus appearing from nowhere within and small temples of Lord Shiva and Lord Hanuman, Harihar fort boasts of everything a good trekking destination should have. Brahmagiri - At 4248 ft. of height above MSL, Brahmagiri houses the famous Trayambakeshwar temple - yes you guessed it right, of the mighty Lord Shiva. River Godavari originates from these Brahmagiri hills and would promise you a sight to behold. Bhandardurga fort - err... more of a watch tower, should we say. But a definite trekking yes simply for the vantage point. I ain't sure whether you would be able to find a place to rest your tripod on. Travel gears - they are important, right? Expect a beautiful day full of adventure. No wonder you've got to start early. Be at the pick-up point mentioned below at 5:30am in the morning and leave the rest on the trek organizers. And before I forget, the charges would be Rs. 2200 plus 4.5% service tax.